Daniel Akenine is a technology and security officer at Microsoft. He is a member of ISO’s international expert group for cloud standards, board member of Cloud Sweden, EuroCloud and Chairman for Iasa Sweden. He is also the co-founder of two technology companies and holds patent applications in Europe and the United States in applied cryptography. Daniel has a history as a brain researcher at the Karolinska Institute and is also an established Swedish fiction writer. Jonas Toftefors is a certified Iasa CITA-P and has extensive experience in enterprise architecture as well as solution architecture. Jonas has experience in many different industries such as retail, medicine technology, logistics, energy. 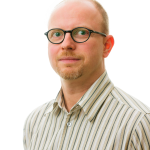 He is also a member of Iasa’s board and led the 2012 working group that published “Recommended IT-architect roles in Sweden.” Jonas works as an Enterprise Architect in Borås. 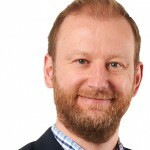 Christer Berg is a Market Analyst and has as a trend watcher monitored the IT industry since 1990. Prior to that he has worked with music production, system development and marketing of IT products. At the Swedish Computer Society Christer is responsible for the professional course programs in IT architecture. 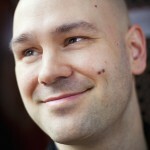 He is also the publisher of the news service Trendspaning.se and a writer on digitalization in industry media. 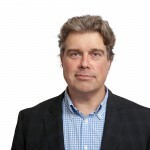 Robert Folkesson has been involved in various forms of Internet-related development and distributed systems for over fifteen years and currently works as technicalmanager at Active Solution. Previously, he worked as an architect in the developer platform group at Microsoft Sweden, where he helped clients, and partners to migrate and build new Windows Azure-based services. 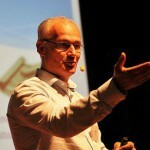 Robert is a frequent speaker at conferences, like Tech Days, ScanDev and DevSum. 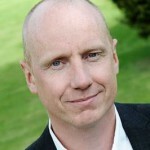 Sven Håkan Olsson is currently working mostly with styrelsemote.se, a service for corporate boards and committees. Otherwise, he works as an independent consultant interested in combining business benefits with technological edge. 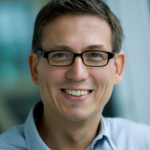 Sven-Hakan is co-founder of Knowit where he also was chief technology officer in 1990 – 2003. 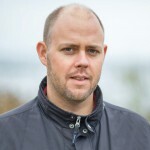 He has been named one of the “top developers in Sweden” by the magazine Computer Sweden. 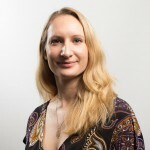 Eva Kammerfors is a business and enterprise architect. She specializes in architecture management and governance, as well as program and change management. Eva is currently Senior Manager Cordial Business Advisers, where she acts as a mentor and advisor to companies and organizations in using architecture as a tool for transformation. Eva is a very active networker in IASA and Business Architect Network and educates at the Computer Society, Cordial and at the KTH School of Management. 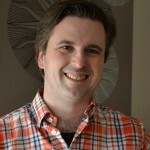 Stefan Asanin is a solution architect who has deep experience in both European and Swedish eHealth. In addition, he has worked with several Internet of Things concept based on various use cases as telemedicine, industrial processes and home automation. Stefan sits today as a board member for Iasa Sweden. Göran Ask has worked in the IT industry for more than 20 years in a number of different organizations, both as employee and as consultant. He has a background in system development and project management but has worked in various architect roles for the last 10 years. His focus lies in enterprise architecture and solution architecture. 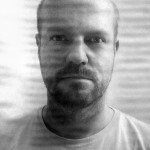 Currently Göran works as lead IT-architect at a major government Agency. with customers primarily in the insurance industry. His specialty is to analyze complex situations and formulate solutions to problems. He has a Master of Science and over thirty years’ experience as a consultant in a variety of industries. Ulrika is a certified TOGAF and Business Architect with a bachelor in technology and systems development. She has worked with electronics and IT development for over 8 years and in recent years she has specialized in IT-architecture and change management. She has worked as an account manager, project manager, business analysts, and in a number of other roles within architecture – both as an employee and as consultant. is mostly focused on the business and solution parts of IT architecture – in project form or in the line organization. 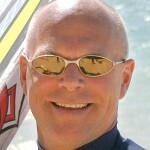 In recent years his work has focused on systems integration and web-based products. With extensive background in business knowledge and IT, Tommy has been working in various roles to achieve harmonization between business processes and supporting IT infrastructures through business modeling and the development of business requirements. He is a qualified leader/manager, project, feasibility study leader and strategic advisor, and likes to be close to the business operations and technology. 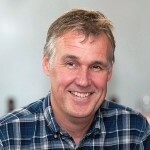 Marino Gulliksson is a curious and experienced business architect and process expert with a big appetite for understanding and improving the business architecture ingredients. Marino has a background in banking and as a consultant in a variety of industries, including Pharmacy, Forestry, Retail and Insurance. Kristian Karre is a business developer using architecture as the main tool. He is passionate about maximizing operations and individual potential, and likes to work in the area of business, operations and technology. He has a background as an educator, but since the mid-90s, he has been working as a consultant. Today Kristian as a business leader in the consulting company Claremont, and helps customers design activities to move their organization in their strategy’s direction. Annika has a long experience in business development and business architecture, both as a consultant and educator. 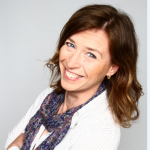 She is head teacher and responsible for DFK’s education “Certified -Business Architect.” Annika is also CEO of IRM Consult. 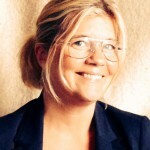 In addition, she is president and cofounder of NEA – Nätverket för Enterprise arkitektur (The Network for enterprise architecture), an Swedish online community for everyone interested in enterprise architecture. Johanna Värild has a degree in computer science from the University of Stockholm. She has 25 years’ of experience in change management, usually in the boundary between business and IT. She has worked in various industries, with consumer-related products and over the years had roles as a business architect, IT architect, enterprise architect and systems manager. The last eight years Johanna has worked as a chief architect, and for the last three at Saab AB. Daniel Mårtensson is an certified IT architect and project manager with many years of experience in the development, operation and maintenance of IT systems. In particular IT infrastructure, quality and security. Daniel is also experienced in the definition and implementation of enterprise architecture capability. More recently, the focus has shifted towards ERP and integration. 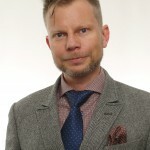 Magnus Nilsson is an active CITA-P certified IT architect working out of Malmö with roughly 15 years experience in solution development in different forms. In recent 5 years focusing completely on large-scale public web architectures and cloud services. 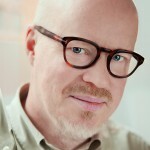 Göran Roseen has worked with IT-architecture since 2000, in both large and small organizations. After seeing the effects of different architectural choices at a couple of big swedish enterprises, he became passionate about building solutions in large, mixed environments. He also has a strong interest in teaching and sharing knowledge between developers. Today, Göran works as a senior consultant at Acando AB. 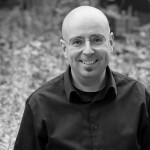 Mikael has over 20 years’ experience in systems and IT-architecture. The last 10 years Mikael has helped businesses adopt an agile approach, mainly by coaching teams in agile techniques such as TDD, CI, CD, etc. Mikael is a much sought after teacher in Agile techniques. Marcus Hammarberg.”Make agile work in practice” is my motto. Therefore, I am interested in Lean, Kanban, Specification by Example, TDD, Continuous Delivery, Impact mapping and other things that can help us to get feedback on our work and learn faster to get better. I currently work for the Salvation Army in Indonesia and help their 6 hospitals and 14 clinics to get better. Jimmy Nilsson has 26 years’ experience as a developer and architect and is a co-founder of the specialist consulting firm factor10. He has worked in many different areas of technology and is interested in different ways of working, such as test-driven development and domain-driven design, with a strong focus on small and value generating codebases. Jimmy has written two international books, has been speaking at the international conferences, for example OOPSLA, GOTO, NDC, Tech-ed, etc and was number one on Computer Sweden’s list of Sweden’s best developers and architects in 2010. Per-Erik Padrón is a certified CITA-P and has worked with IT architecture in various positions since 1996. 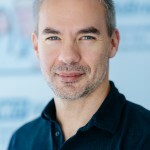 He has been teaching IT architecture for most of the major training organizations in the industry such as KTH, Addskills, the Computer Society and IBC. 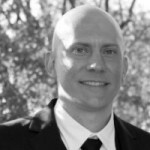 Per-Erik has specialized in developing architectural craftsmanship and help organizations with their ability to manage IT architecture. He is on the Iasa Swedish Board and is responsible for the Iasa intellectual capital. Peer Törngren is a software architect and developer with over 35 years in the IT industry. Peer has developed commercial products for the global market since the mid 90s and has experience from most software engineering disciplines, with a particular interest in model engineering and development methodology, and a passion for clean code. Besides business applications, Peer has built a number of development tools and meta models. Peer is currently a software architect, developer and agile coach in the Financial Performance Management segment of the Business Analytics division at IBM. Michael Thurell has approximately 25 years of experience in object-oriented system development, modeling, IT architecture and education – primarily in the telecommunication, automation and banking industry. He is also one of the developers of the method EFSOS. Since 2008, he is a teacher and supervisor at the Computer Society training of Certified IT Architects. 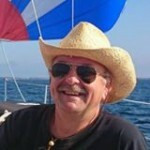 Lars Wiktorin has 40 years of IT experience in various positions at large and small businesses. He has worked as a consultant, product developer, method developer and university teacher. He is also the author of a number of books and IT reports. 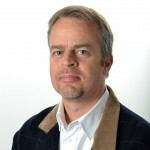 Lars has for nine years been in charge of the Computer Society Certified IT Architect Master program. 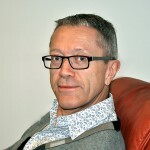 Mats Andreasen has worked more than 25 years as a system developer and IT architect, mainly within the telecom industry. He has experience that spans from embedded products to cloud solutions and has also been involved in methodology and process development. 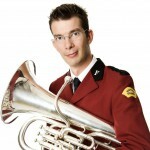 Mats is a member of Iasa’s board and currently runs the Gothenburg chapter. 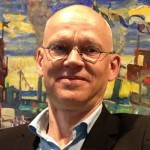 Mats Gustafsson has since 1985 worked as an IT consultant with system development in several different object oriented programming languages. The last 10 years he has mainly been an IT architect and developer on the Java platform. He has also worked extensively with modeling, method development and training. 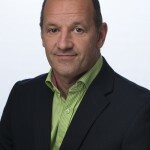 Mats is the principal and supervisor of the Computer Society training Certified IT Architect Master. 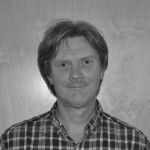 Anders Larsson has been working in the IT industry since 1994 and for more than ten years with IT-architecture related assignments. His focus is on solution architecture and he’s primarily working in turning business requirements into realizable solutions. He’s also working at the intersection of IT-architecture, technical design and software engineering. 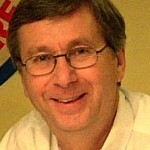 Anders has served on the board of Iasa Sweden since 2007 and in recent years as a training manager in Sweden. We would like to thank Torbjörn Gyllebring, Mats Janemalm, Joshua Anthony and Herbjörn Wilhelmsen for contributions. Thanks to Joachim Lindborg, Jenny Sjövall, Måns Langert and Allan Strand for feedback and fact checks and a special thanks to Mattias Kressmark for his effort in proof reading. We would also like to thank Alexandra Nedstam for dedicated editing work and Cecilia Pettersson for layout and design.